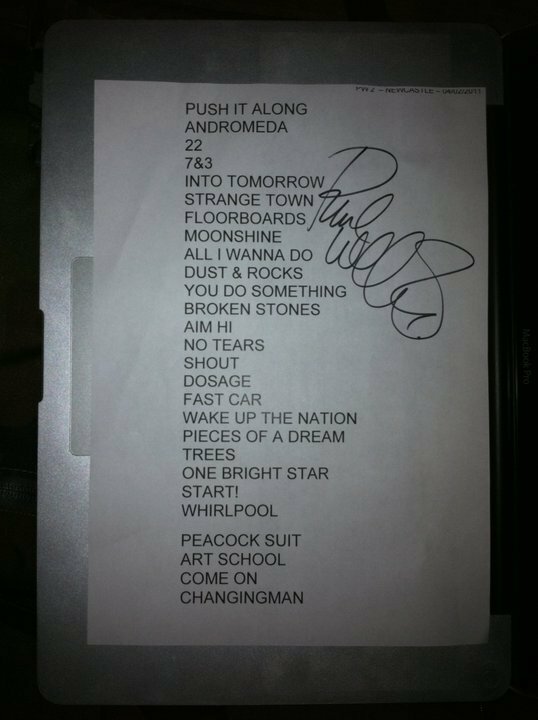 Paul Weller At The Metro Arena In Newcastle – Gig Review! – Paul Weller News! Paul Weller At The Metro Arena In Newcastle – Gig Review! 1 Comment on Paul Weller At The Metro Arena In Newcastle – Gig Review! 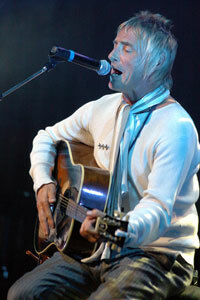 FOLLOWING the cancellation of his December date, Paul Weller was at the Metro Radio Arena on Friday night. Gary Beckwith was there. A BLUSTERY and wind-torn North East saw Paul Weller and his entourage sweep into a packed Arena at the weekend. On my hike to the gig I lost count of the wind-swept Weller imitation haircuts adorned by fans, but what was in store was no pale imitation of the ex- Style Council and Jam frontman. Opening with Push It Along the pace of the night was set. What followed was an eclectic mix of tracks from a formidable back catalogue. The energetic 52-year-old never let up the momentum except for a brief spell on organ and keyboards for crowd pleasers You Do Something To Me but picking up the pace again with Broken Stones. The two-hour long performance cantered along without respite and at times the night felt like The Paul Weller and Steve Craddock show, the later wielding his guitar skills with relentless ease. Not to take anything away from the rest of the band, the drummer stood out. He duly belted his way through the set and treated the thronging crowd to a solo set whilst the rest of the band took a quick break. There was a healthy smattering of songs from Weller’s latest album Wake Up The Nation, with Moonshine, Trees, Find The Torch, and Burn the Plans the most memorable. Latest single No Tears To Cry got an airing and although the night wasn’t awash with hits many associate him with, popular versions of One Bright Star, Whirlpool and a thrashing Come On/Lets Go more than sufficed. The polished performance was backed by an impressive lighting set as well as two large screens just in case the fans at the back couldn’t make out the silver-haired Weller. Never one for much stage banter, Weller let the music do the talking, only exclaiming to the crowd that he hoped the six-week wait for them to play since December’s cancellation was worth it. And as the band burst into Peacock Suit and duly performed an encore of Changing Man, it was indeed. Quick tip for readers and followers.. I stopped my missus from throwing away my Wild Wood Tour Long Sleeve tee-shirt recently, even though it was faded and after years of wear hung on me like a parka. It now takes pride of place as one my pictures on the wall and looks pretty cool framed and slightly spot-lit. I simply cut off the arms and stretched and stapled it. Get those Old tour Tee's out of the drawer and get them all hung up again.. Previous Entry Flashback! "Paul Weller’s 12 Must Have Albums"
Next Entry This Is 41! New Mini Album From Andy Lewis!